Don’t laugh, but chances are if someone just gave you a gun, you would end up leaning back like this person. Having a proper shooting stance and grip gives you a strong foundation for all the other shooting fundamentals. But don’t worry, we’ll go over the most popular shooting stances, from Isosceles to Weaver to Chapman (aka modified Weaver), then cover how to have a proper handgun grip that gives you maximum control and recoil dampening. 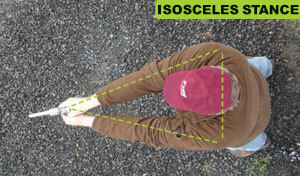 The isosceles stance gets its name from the arms and chest making an isosceles triangle. Kudos if you remember from geometry that isosceles means two sides are the same. Shooter faces the target squarely, feet are shoulder-width (or slightly wider) apart with toes pointed at the target. Arms are full extended with the gun in the middle of the chest. There’s a slight lean forward and some bending of the knees. Easier and more natural stance since you are merely “pointing” at the target. The body acts like a turret for easy movement to side targets. This stance is very popular in shooting competitions for easy transitions to different targets. Doesn’t really matter what eye dominance you are. If wearing body armor, you are getting more protection since you are square to the target. Potentially less stable if you are pushed foward/backward (pretty stable for side to side), but this is minimized by bending your knees and putting your weight a little more forward. If not wearing body armor, you are exposing a bigger target. Developed in the 1950’s by LA County Sheriff Jack Weaver and since popularized by Jeff Cooper and his firearms school, Gunsite. The shooter is more at an angle to the target and the arms are bent. Non-dominant leg is forward of the dominant leg with a slight forward lean (“nose over toes”). Toes are pointed forward and the firing-side arm is extended while the supporting arm is bend. The shooter employs a “push-pull” grip by pushing with the firing arm and pulling back with the supporting arm. More stable since the feet are now staggered. Natural stance if you need to balance yourself. Harder to rotate to your non-dominant side since you feel like you’re binding yourself up. For example, the Gunsite instructor above would have a harder time rotating to his left. Harder for cross-dominant shooters (eg right hand dominant and left eye dominant) since the two are now no longer matched up. If in body armor, you expose your side which normally isn’t armored. Pioneered by competitive shooter Ray Chapman. Very similar to the Weaver Stance except your shooting arm is fully locked out with the support arm bent downwards. 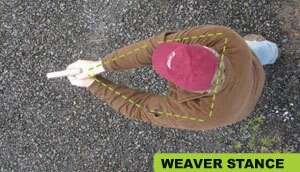 Same as Weaver above except the shooting arm is fully extended, almost like a rifle stock. Some shooters will also create a cheek-weld on their upper arm. Consistency of your arm “stock” and “cheek-weld” to be always the same, instead of hovering in the air with the Isosceles or Weaver. Another of my standard answers…it depends on what you like best and your application. 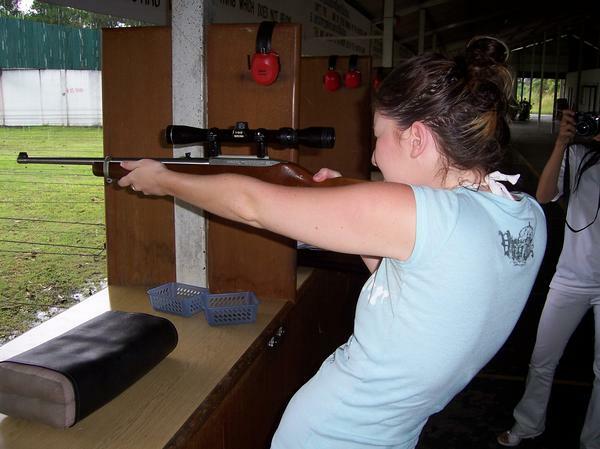 You can choose based on what comes more naturally to you, if you want to compete in shooting sports later, or if you have eye dominance issues. And in many cases, what your instructor prefers when you take a firearms class (you are going to take a class right?). 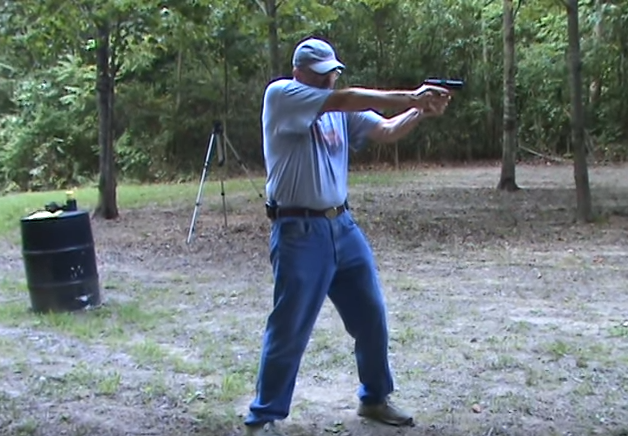 For me, and Hickok45 below, we prefer the Chapman stance because of our crossed-eye dominance issues. I also like the feeling that my “rifle-stock” is always the same. And even though I do some competitive shooting, I don’t really see the moving side-to-side binding issue that much. But don’t take my word for it…try it out for yourself! And here’s a great video of Hickok45 showing you all the stances, since pictures can only do so much. Don’t do the teacup grip! 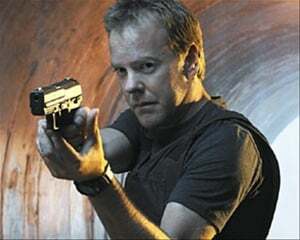 You’re going to start seeing it in a lot of movies and start groaning after you learn how to properly grip a handgun. We’ll cover modern handguns, revolvers, rifles, and shotguns individually in the next few lessons. 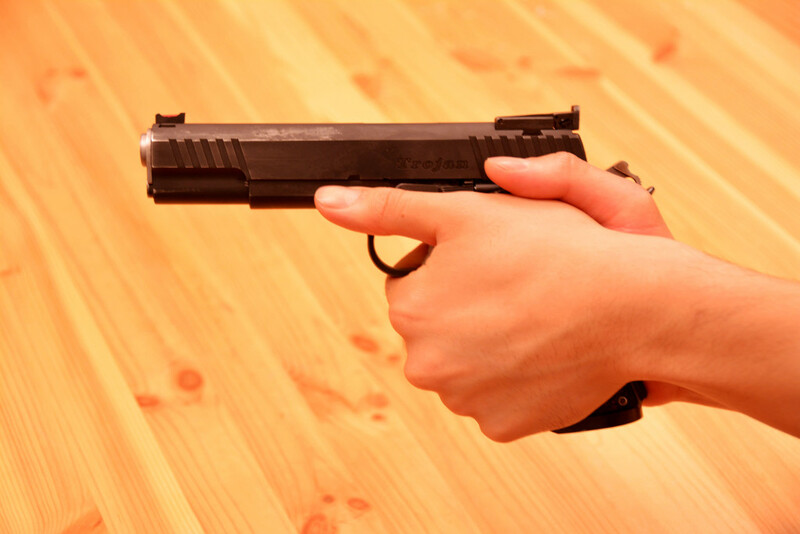 But here are some overall tips on gripping a gun. Use a strong grip! 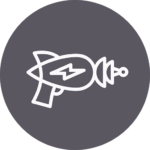 You want to be able to control the recoil of the gun and having a strong grip also reduces the movement of the non-trigger fingers. Use your non-dominant hand to cover as much grip as possible. 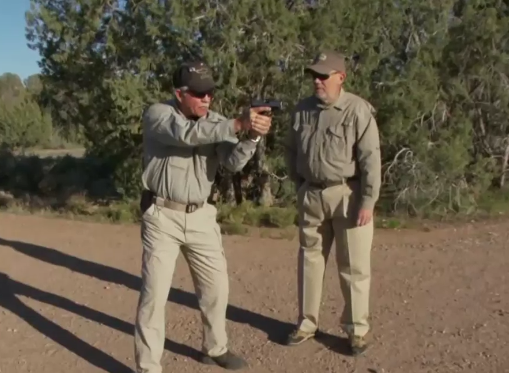 For more on grip, especially with handguns, check out How to Shoot a Pistol More Accurately. 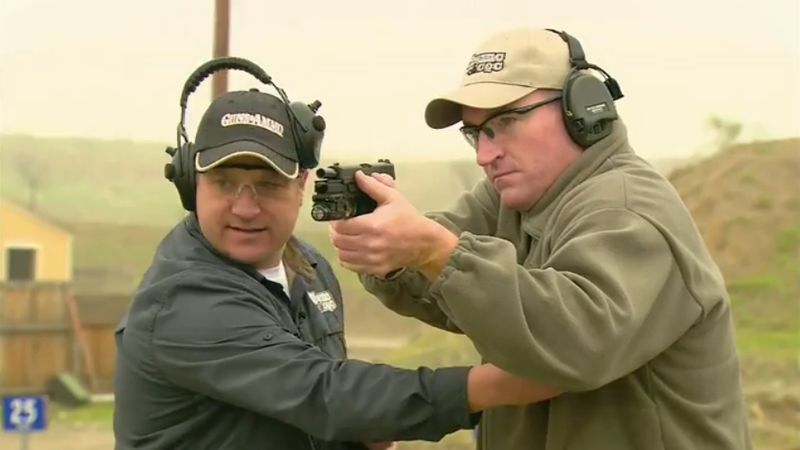 For a lot of gun stuff…videos are the best learning tool. That’s why we created Gun Noob to Gun Slinger…our beginner handgun course to teach you the important stuff…without the attitude. Or check out our blog based Beginner’s Guide to Guns. 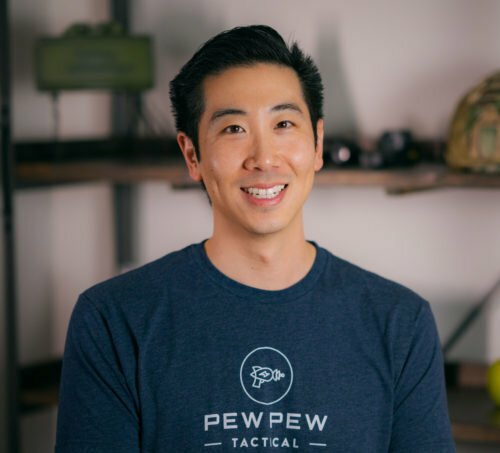 Hi, I'm Eric Hung and I got into guns when I was around 25 and started with YouTube videos, scouring forums, and eventually taking a bunch of classes. I soaked up as much information as I could online, at competitions, and from tinkering in my workshop. I became my group's "gun guy" and everyone who had questions came to me. And now I hope to answer some of yours! Learn more at About Us. Col Applegate taught the Army in the 40s and from his book to shoot in his kill or get killed. After soldiers were taught the basics he went into practical shooting from three positions. The prone which he used from 50 yrds because it was the most stable, Next was kneeling from about 25 yrds and last standing one handed square to the target and it was full arm extended point shooting. He would pivot from left to right and not swing the body or shooting arm. that was from 15 yrds or less. what about Center Axis Relock (CAR)?